1,457,1914 West Jakarta residents have been recorded in national health insurance (JKN) program until May 25, 2018.
" Recording result will be distributed to be checked in sub-districts and urban villages"
West Jakarta Health Sub-dept. Head, Weningtyas Purnomo Rini said her side is still waiting recording result from Social Dept. and Population and Civil Registration Dept. about residents who haven't recorded in BPJS Kesehatan. "Recording result will be distributed to be checked in sub-districts and urban villages to ensure whether unregistered residents are able to be proposed as beneficiaries through APBD or independent," he conveyed, Tuesday (6/5). Previously, Jakarta Health Dept. Deputy Head, Khafifah Any affirmed, her side has targeted to register 10.3 million Jakartans in JKN program by the end of 2018. "In accordance with governor instruction, all Jakartans are targeted to be registered in BPJS Kesehatan until the end of 2018. Dukcapil Dept. and Social Dept. 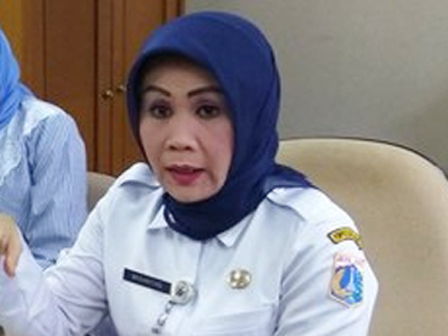 are still recording residents who haven't recorded in BPJS Kesehatan," she stated.